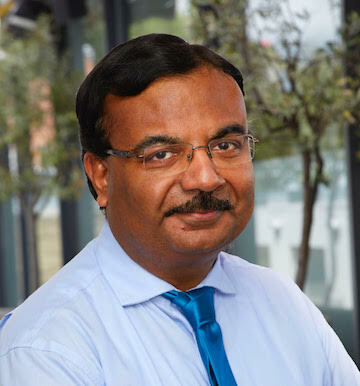 Dr. Naresh K. Buttan is a Consultant Psychiatrist in General Adult Psychiatry & Founding Director of Tenacity Consulting Service Ltd. He’s been working as a Substantive Full Time Consultant in NHS at Livewell Southwest (Plymouth Community Healthcare CIC, previously known as NHS Plymouth Teaching PCT) since February 2008. He’s Sec 12 (2) approved under the Mental Health Act. Additionally, he’s also a Training Programme Director for Higher Training Programme in General Adult & Old Age Psychiatry at Health education England working across South West Peninsula Post Graduate Medical Education (HEE SW PGME). He is also attached with University of Plymouth as Hon’ Fellow, Academic Tutor and Undergraduate Psychiatry Lead for Peninsula Medical & Dental Schools. Prior to coming to UK, he worked as Consultant Psychiatrist & Clinical Director in Australia, Consultant Psychiatrist & Deputy Medical Superintendent in India. He qualified from premier institutes in India. He’s currently attached with Royal College of Psychiatrists as an External Adviser & College Assessor. He is a member of BMA and trained and working as LNC Chair at Livewell Southwest. He’s actively involved in training, teaching & workforce development in his various roles. Beside his vast experience of more than15 years in his field his special interests include Transcultural Psychiatry, Migration & Mental Health, PTSD, Epigenetics in Schizophrenia & Bipolar mood disorders & Mental Health Laws. He’s quite experienced in providing specialist assessments for courts, tribunals, medico-legal cases including those for asylum seekers & refugees, health/work insurers & employers. He’s presented papers in conferences, written articles in public media & given interviews to media for raising awareness of mental health. Personally, he enjoys playing badminton, socializing, reading and travelling. He runs his private clinics at Harley Street on weekends and Nuffield Health Plymouth Hospitals (by appointments) in his private time.